The climate change with all its possible impacts doesn’t take a break and waits till Trump will come to a decision and announces which direction the United States want to head for. Other states are less cautious. Canada, China and the European Union team up to promote the global fight against climate change whilst US-President Donald Trump is still considering to cancel the Paris Agreement. EU Climate and Energy Commissioner Miguel Arias Canete, Canada’s environment minister Catherine McKenna and China’s special envoy for climate change Xie Zhenhua came together on Tuesday in Berlin, Germany, and discussed how to continue in a way that the global fight against climate change doesn’t falter in case of the U.S. pulls out of the Paris Agreement. Nearly 200 members of the UNFCCC (United Nations Framework Convention on Climate Change) have signed the Paris Agreement – among them also the United States. In order to reduce greenhouse gas emissions and response to global warming and climate change, was entering into force on 4 November 2016. Bringing together key players is important as McKenna said in an interview. However, without the possible key player called USA. In accordance with Bloomberg, this inter-continental alliance is a further signal that Trump and the USA become isolated from other countries. “We are often asked about our position when looking at the U.S. uncertainty,” Xie said. 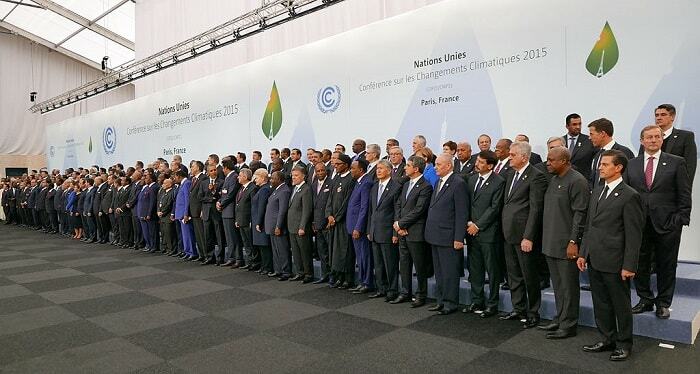 “The Paris agreement is a hard-won achievement, and all signatories should stick to it instead of walking away. China will stick to its word.” Donald Trump often announced to cancel the Paris Agreement if elected for presidency during the November elections 2016. A new exciting alternative to provide energy made within the city. France will build a photovoltaic road surface over the next five years as announced during a press conference by the minister of ecology and energy, Ségolène Royal. Such a roadway is not a novelty. Pioneers were the Netherlands with their 70 metres stretch called SolarRoad. 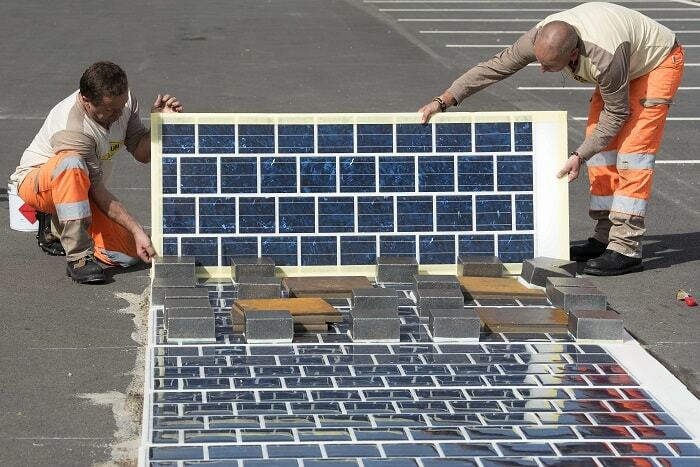 Solar Roadways in the US collected more than US$2,2 million with a crowdfunding campaign in 2014. Also South Korea inaugurated a bike lane covered by photovoltaic panels protecting commuters from the sun. But France outshines them with a road length of 1,000 kilometres (626 miles). And it will be the first photovoltaic road system installed on public roads. After two years intensive research between Colas, a road construction company, and the French National Solar Energy Institute (INES) the panels were ready in 2015 to be launched on the market. The panels contain 15 cm wide cells. The 7 mm thin film of polycrystalline silicon is rainproof and withstands cars, bikes, and trucks owing to multiple layers composed of a resin substrate. In a press kitt, Wattway states numerous applications. For example, the electricity of traffic lights at an intersection can be provided by 15 m² of Wattway panels. Reportedly, 20 m² with 1,000 sun-hours/year are able to power an average French household. And 100 m² of Wattway panels allegedly provide enough power to travel 100,000 km (INES) with an electric car. The costs are estimated at 6 EUR/Watt-peak. According to Wattway, the panels have a 15 percent yield. Conventional photovoltaic panels yield of 18-19 percent. This innovative solar panels can provide renewable energy exactly where it is needed, next to the consumer. In cities is the highest demand and it is constantly increasing. But still an interesting question arises. 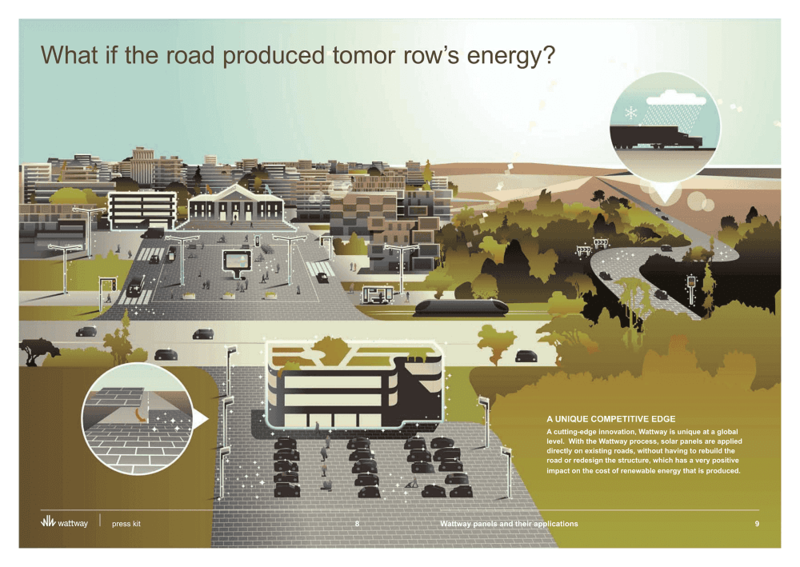 What is the length of the energy amortisation period of an installed and commissioned photovoltaic road surface? Let us hope that there is not too much traffic jam blocking the sunlight.